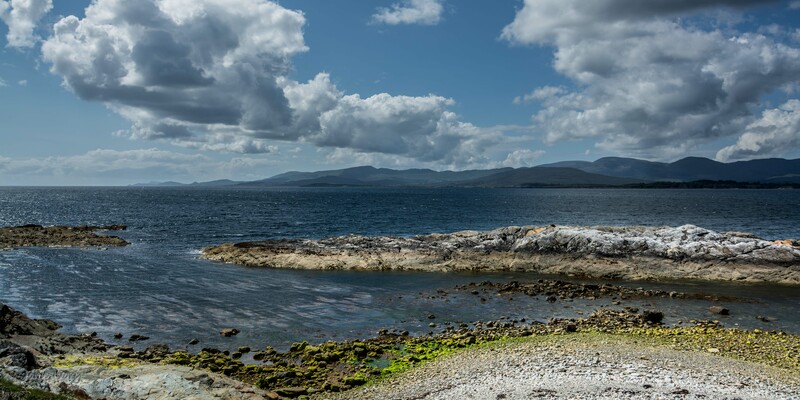 The distinctive Kerry coastline consists of three main peninsulas – the Dingle Peninsula to the north, the central Iveragh Peninsula (which contains the famous ‘Ring of Kerry’) and to the south the Beara Peninsula. The latter is shared with County Cork. 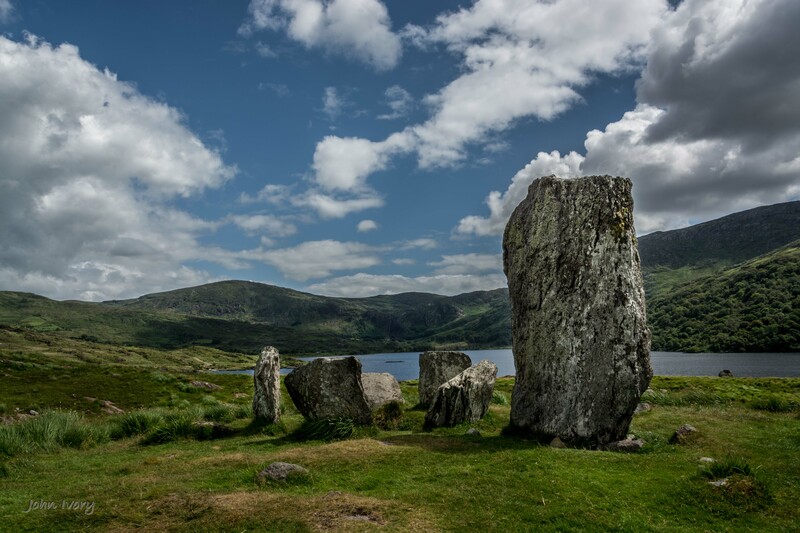 For summer vacation this year, we located ourselves in the beautiful town of Kenmare, which is an ideal base for undertaking both ‘rings’ – the Ring of Kerry and the Ring of Beara. The shots in this post are from several locations on Beara. The real secret though, is to get off the beaten track as much as your time and itinerary will allow. I have taken to driving down all kinds of side-roads and lane-ways – just to see what might be there – and often there are gems awaiting. Vibrant gorse against a backdrop of Clonee Lough Upper – down one of the many small roads and lanes off the Ring of Beara. 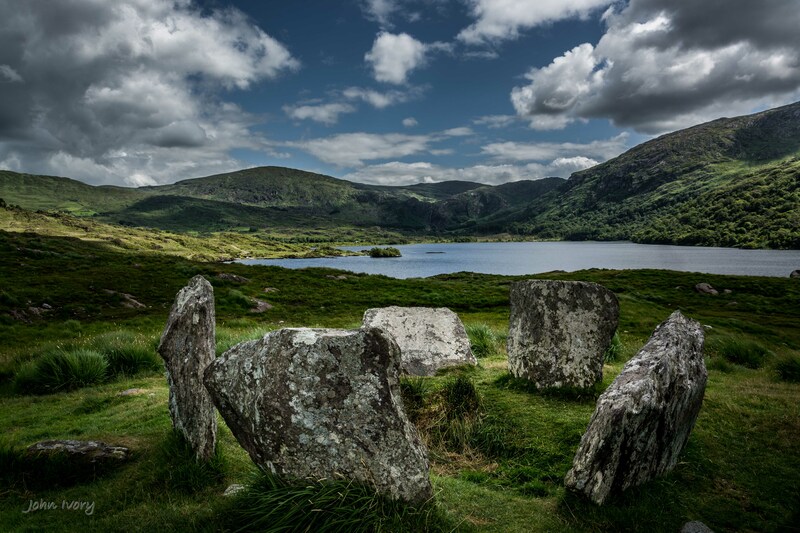 Uragh Stone Circle with Lough Inchiquin and Uragh Wood in the distance. 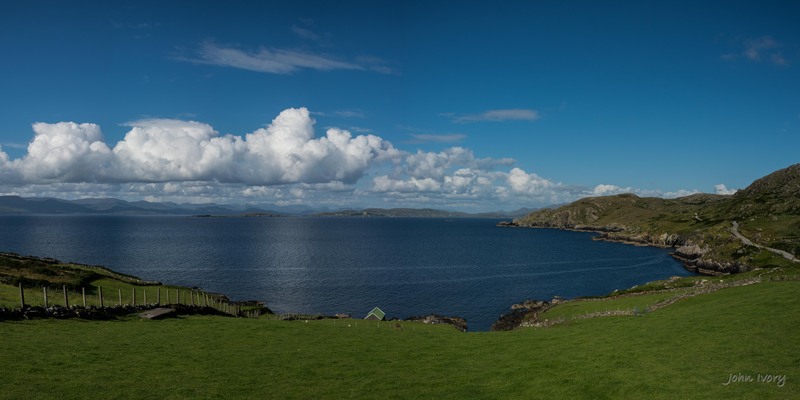 Looking towards the Iveragh Peninsula – from a coastal route off the Ring of Beara, near Loughaunacreen. 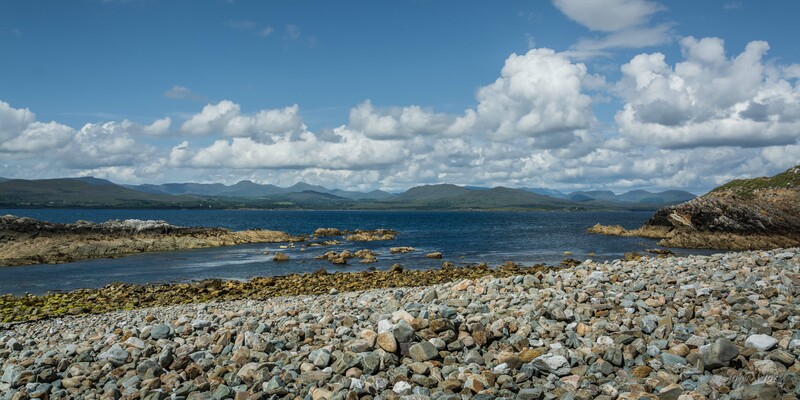 Distant view of the McGillycuddy Reeks from the Beara Peninsula, near Loughaunacreen. View from Beara towards Iveragh taken from the road outside Eyeries. The stretch of water is the North Atlantic. 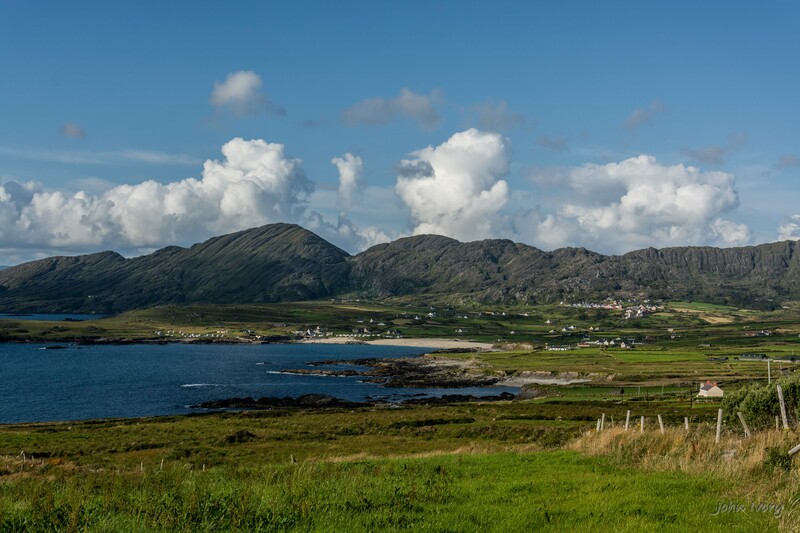 The village of Allihies (Co. Cork) on the Beara Peninsula. For many centuries the area was a site for copper mining. ← Bray Airshow 2014 – No Planes! It’s a stunning part of the world, Avine. A bit of fine weather helps too!! Many thanks – wonderful part of the world. Great work John. Those images are really sharp – I don’t think I’ve ever seen the west of Ireland without at least a bit of mist, low cloud or drizzle. I’ve not experienced Beara though I know the Dingle Peninsula pretty well. Must go, and also read up on the mining history of Allihies. Thanks Roy. 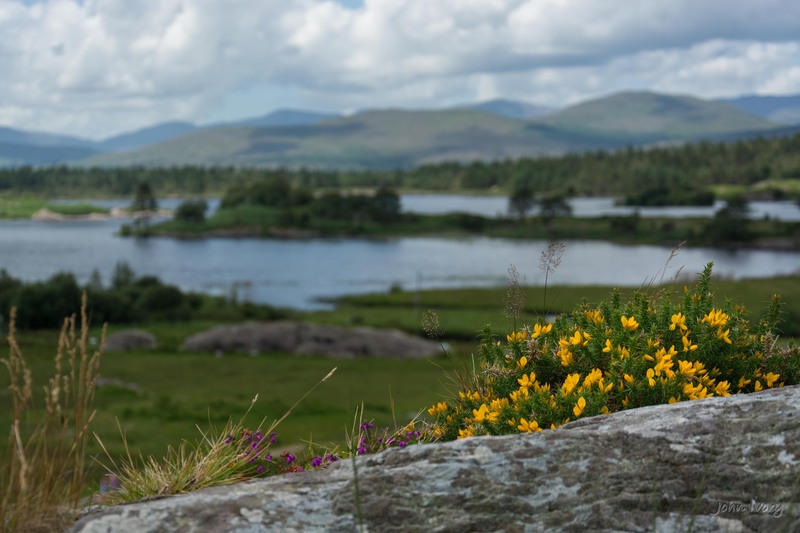 Beara is well worth a visit – but you do need a reasonably fine day! Very beautiful captures of a great landscape! Thank you very much, Josephine.